Join us as Joel Schwartzberg speaks on the topic: How Authors Can Create Effective Presentations. 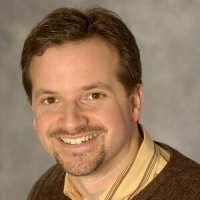 Currently the Senior Director of Strategic and Executive Communications for the ASPCA, Joel Schwartzberg has been teaching effective presentation techniques to clients including American Express, Blue Apron, and the Brennan Center for Justice since 2006. Joel’s award-winning book Get to the Point! Sharpen Your Message and Make Your Words Matter was released in 2017 and his articles on effective point-making have appeared in Fast Company, Toastmaster Magazine, and The Huffington Post. A frequent conference presenter and workshop leader, Joel is a former National Champion and State Champion competitive public speaker. After coaching public speaking teams at the University of Pennsylvania and Seton Hall University, was inducted into the National Forensic Association Hall of Fame in 2002.